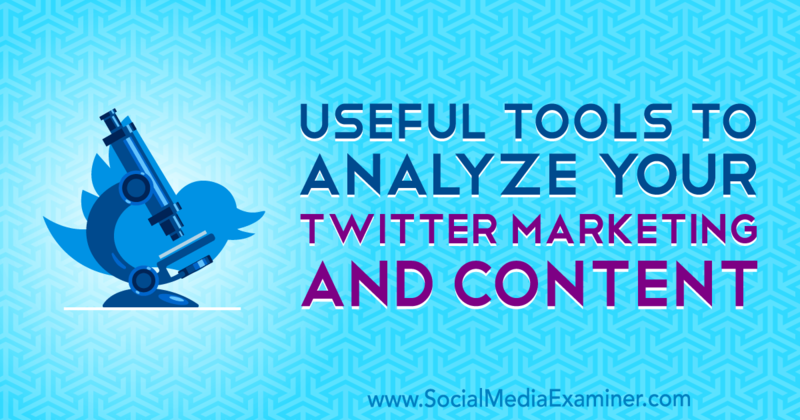 When was the last time you analyzed your Twitter marketing? Looking for tools that can help you get a grip on your audience and Twitter content? In this article, you’ll learn how to analyze Twitter audience makeup and engagement data to deliver the types of content your audience values most. By @SylviaHubbard1 in Uncategorized on October 3, 2018 .